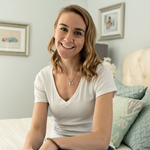 From taking your own photos of your newborn at the hospital, to techniques for keeping baby happy and comfortable at home. Enter your email address below and I’ll start sending you my best tips. You can unsubscribe at any time.